Is A Real Estate Agent Needed to Sell Your Home? Can Florida homeowners and investors sell their homes without using a real estate agent? More importantly, if they can, should they? Property owners, in association with investors, are forced to make these decisions everyday. While there are certainly advantages to neglecting the assistance of a real estate agent, those trying to save money will find that it could end up costing them a lot more than originally anticipated. A do-it-yourself approach can result in costly mistakes and a lot of time wasted. Perhaps you are fully capable of selling a home yourself. Those with a good real estate education should have a good foundation in which to start, but that doesn’t mean it’s smart or saves money at the end of the day. If you are selling your own property, and have little time to waste before your home goes into foreclosure, you might want to consider selling to a reputable real estate investment firm. However, investors that rely on buying and selling houses every day to generate an income might be better off enlisting the services of a real estate agent. Many seriously underestimate the value of a good real estate agent. Their price includes marketing, showings, negotiating, paperwork, and managing the closing process. These items not only cost money, but take up a lot of time as well. Sometimes real estate agents have entire teams that work underneath them to preform these tasks. Surely, in all the time it takes to wrap up a sale, investors could have found and acquired 3 more properties with far more profit potential than you would have saved from skipping on a real estate agent. Accordingly, the time you gain from hiring a real estate agent permits you to pursue more investment opportunities. 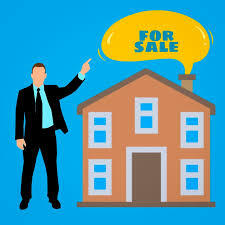 Plus, those regularly buying and selling homes can normally negotiate huge discounts on real estate agent commissions. What if you only had to fork over 1 percent, instead of 3 or 5 percent? Would that change your mind?